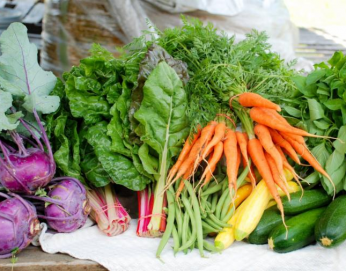 Crabtree’s CSA enables folks to turn grocery dollars into community dollars. These dollars create a place where all ages can learn where food comes from and feed their curiosity through field trips, farm experiences, and workshops. Enjoy the best of the season through our full season CSA, monthly flex box CSA, and Market Credit options. We are now able to offer multiple payment options, rolling enrollment, and the ability to put your box on a vacation hold. Crabtree accepts all major credit cards, checks, cash and EBT.